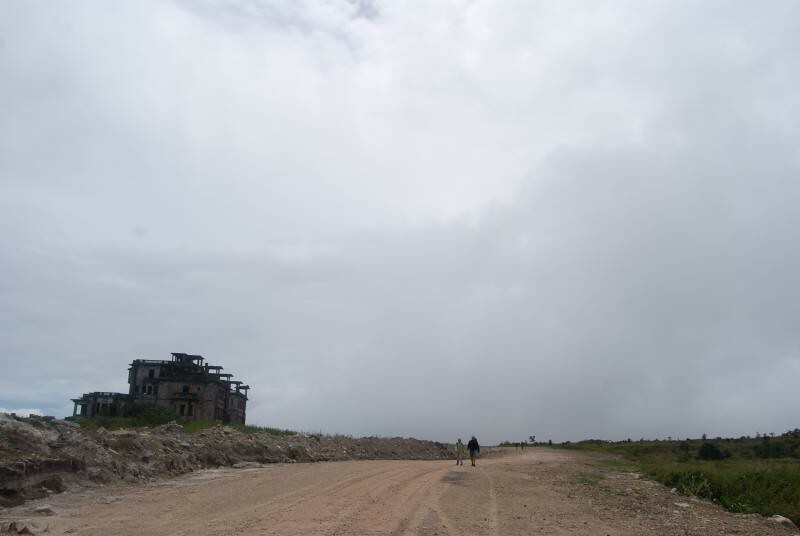 Built in the early 20th century for the rich French elite, the village atop Phnom Bokor once contained a casino hotel, nightclubs, and villas. It fell into disuse just after Cambodia’s independence from France in 1954, and King Sihanouk attempted to revitalise the town soon afterwards. 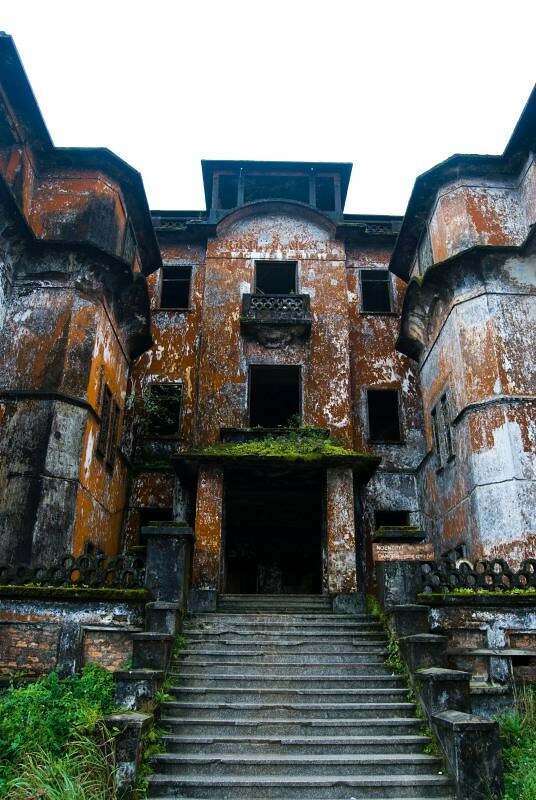 The town was abandoned again in the early 1970s when the Khmer Rouge were fighting to overrun the Lon Nol government. 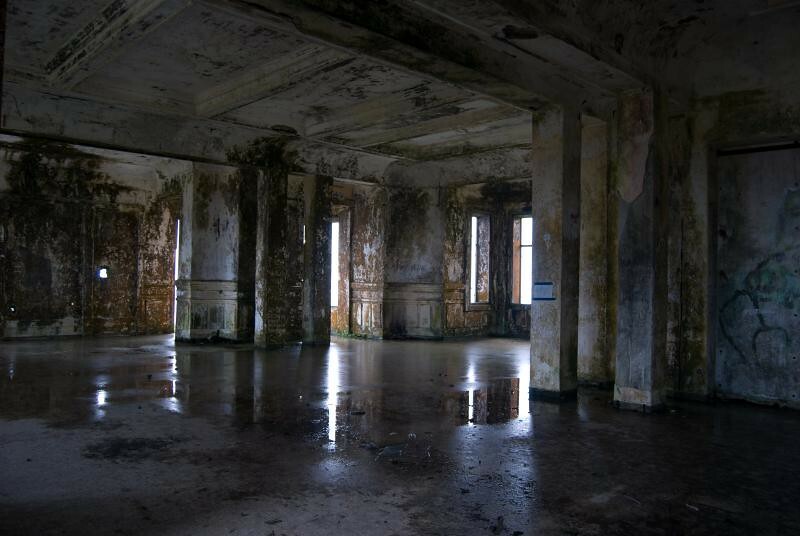 From 1976 until 1978, the Khmer Rouge used the old casino as a prison, and the commander of the district lived in the old Catholic church. The site has been occupied only by park rangers since 1978. 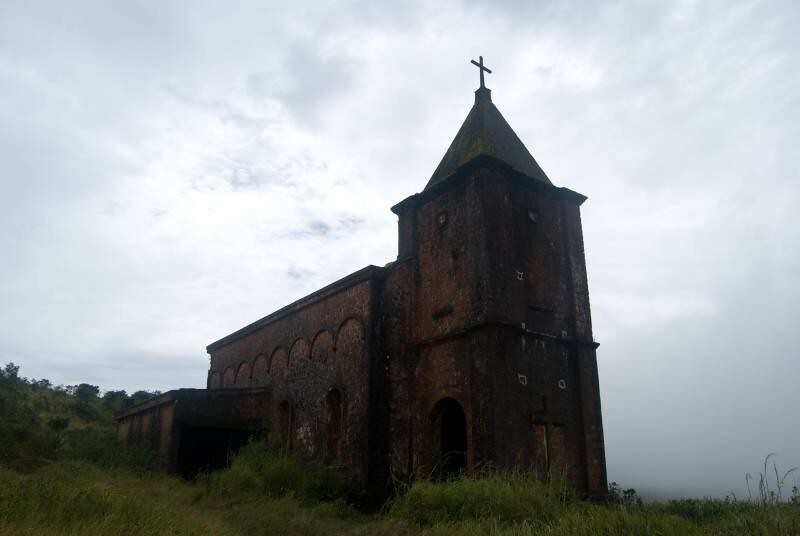 The entire hill was recently purchased by a large conglomerate, and they have plans to build a 12-storey 5-star monstrosity just down the road from where the remnants of the French colonial buildings stand. Fortunately (and surprisingly), the old buildings will be preserved. 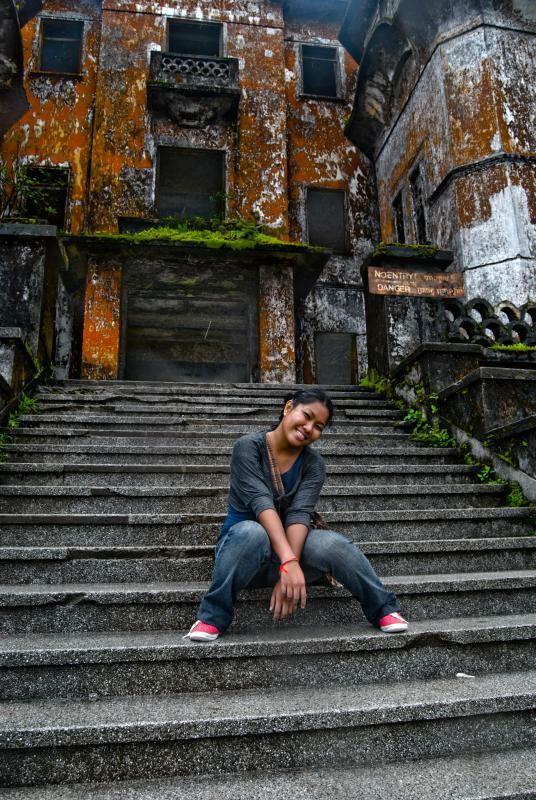 More photos of the amazing and eerie Bokor Hill Station can be seen on my Flickr page. Live tunes and fun times at the Bodhi Villa Guesthouse in Kampot, Cambodia. More photos from this beautiful riverside town can be seen on my Flickr site. 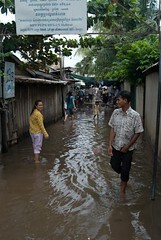 PHNOM PENH, CAMBODIA – Flooding is a problem which characterises the Cambodian capital. 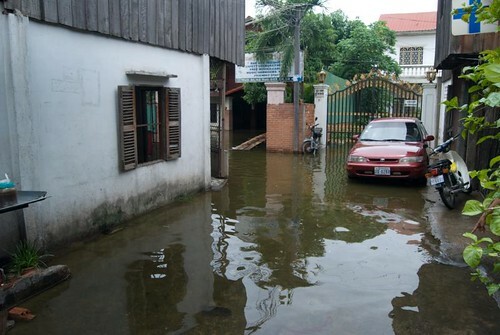 During the wet season, the short but powerful downpours dump more rain on Phnom Penh than the rubbish-clogged drains can handle, and the streets become shallow rivers for a few hours after the rain. Jokes are made of the surf conditions on Street 63. 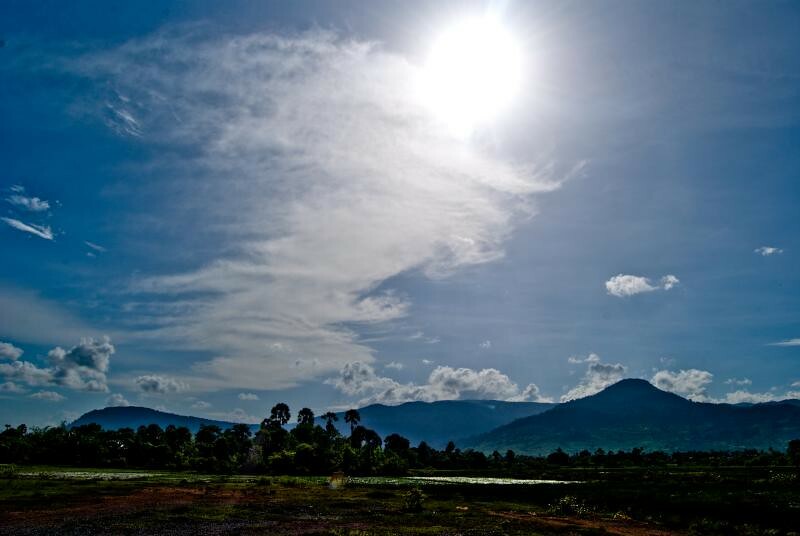 On February 6 2007 the government leased the lake for 99 years to Shukaku, Inc., a holding company headed by Cambodian People’s Party senator Lao Meng Kinh. The lake has been leased to the company for 99 years at a price of US$0.60¢ per square meter, or a total value of US$79 million, per year. Shortly after the signing, the company began dredging the nearby Tonle Sap river and using the sand to fill the lake in. 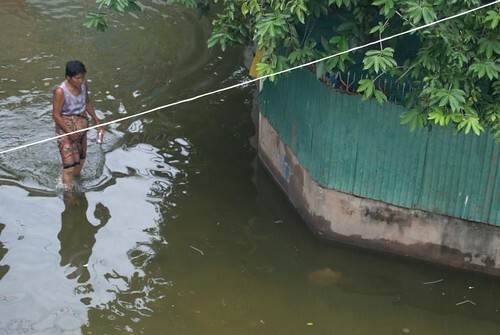 The lake acted as a natural reservoir for the city during the monsoon season and did much to prevent flooding in the area. Since well over 70% of the lake no longer exists, and is awaiting the construction of luxury apartments and shopping centres on the reclaimed soil, this reservoir no longer exists, and so residents and businesses along the edge of the lake are now flooding out. I took these photos on August 23 2010, and when I awoke this morning I saw that the waters are rising even moreso due to last night’s rain. This has been going on for four days now. 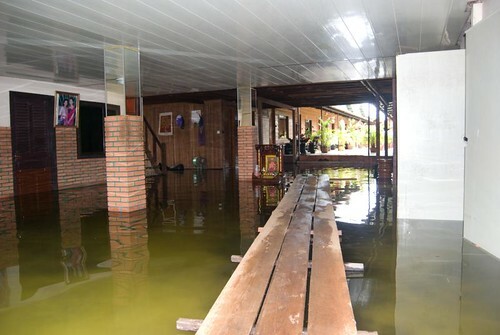 At least one house in the neighbouhood became so waterlogged that it collapsed. 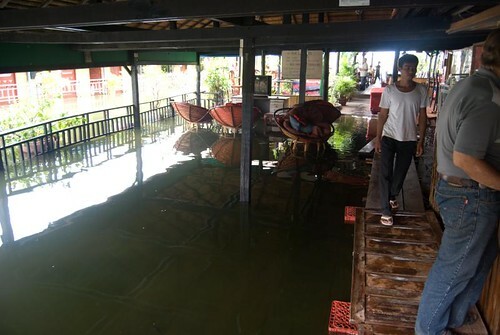 Two guesthouses are completely empty, prospective tenants understandably reluctant to wade through shin-deep mucky water to reach their rooms. 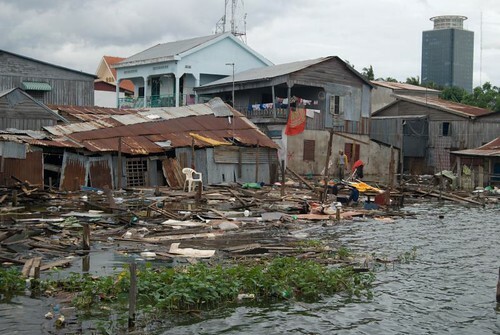 The story around the Lakeside district is the same; construction will start in a year, and landowners will be given US$8000 as compensation and forced to move, often up to 20 kilometers away. Thousands of families along the lake’s (former) south and west shore have already been moved on. Most people face an uncertain future, with plans for their eventual fate taking on the air of rumour. Some think the Lakeside district along Street 93 will remain unchanged, some are expecting the bulldozers to come in as soon as the high-rise condos go up. Many have nowhere else to go, having build their homes and businesses and lives in the area. 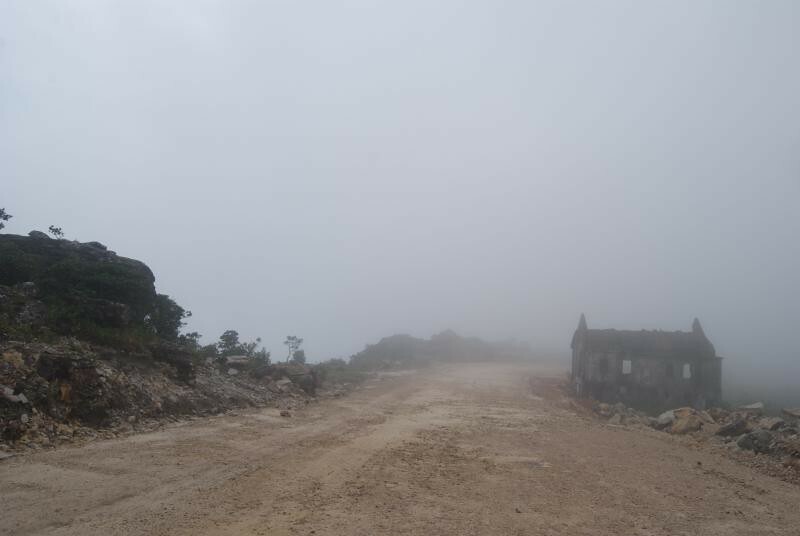 The project has been controversial from day one, with complaints ranging from the view being spoiled to entire communes collapsing into the rising waters. There have been recent rumours of the foreign investment companies that had initially signed on for the development getting cold feet due to the Global Financial Crisis and putting their plans on-hold indefinitely. Regardless of whether the construction goes ahead or not, the damage has been done. The backpackers have lost their beautiful sunset view, thousands of families have lost their homes, and Phnom Penh has lost a part of it’s history.